Gambling at an online casinos ought to be enjoyable. Gambling responsibly is crucial for enabling that enjoyment to flourish. Allowing your gambling to spiral out of control is a sure fire way to take the fun out of roulette, blackjack or slot machine games and to turn them into a hugely stressful experience instead. 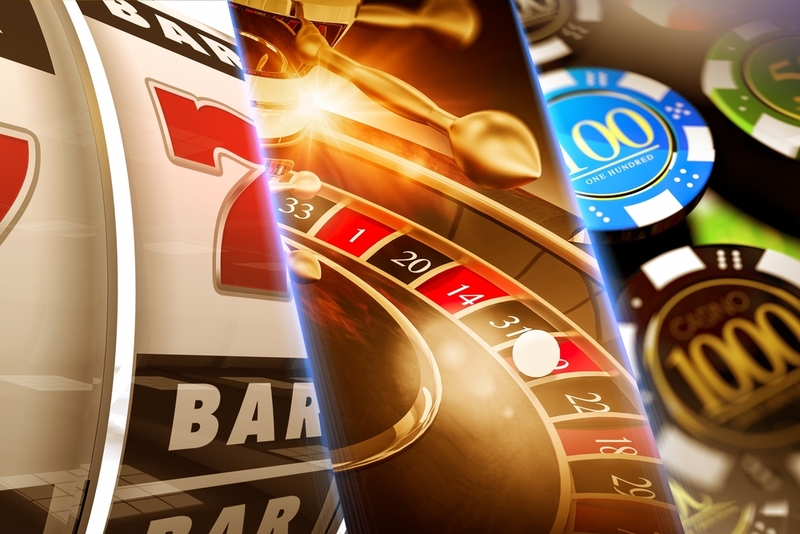 Before you head down to your favourite online casino, ask yourself the four questions below. They will help you to decide when to play and when to abstain. 1. Do you have enough money to gamble with? The money that you use as your casino bankroll should, very strictly, consist only of money that you do not need for other things. Never gamble with cash that you ought to be using to pay bills and rent, to buy birthday presents for the kids, or to buy those little luxuries that help to make life sweeter such as dinners out for two or trips to the seaside. The money that you gamble with should only be money that you can afford to lose in its entirety. Never come to the gambling table intent on ‘earning’ money there to pay your rent as this could backfire dreadfully. And, never be tempted to supplement your bankroll with money that has been set aside for other things. Even if you are on a glorious winning streak, you should never dip into the pot of money you have saved to pay the gas bill. Once your bankroll is emptied, and so long as you no longer have any spare cash that you can afford to lose, you must abstain from the table. 2. Do you have the spare time to gamble? Gambling should only be done when it does not drag you away from life’s commitments. Gambling whilst you should be at work, at your best friend’s birthday party or celebrating your wedding anniversary is not responsible gambling. Schedule a time for poker or roulette into your weekly or monthly schedule by all means, but make sure to schedule in lots of other fun hobbies, time with friends and loved ones and holidays as well. Balance is so important! 3. Are you in control of your emotions? Be aware of the looming danger of phenomena such as ‘poker steam’ and ‘poker tilt’ (the feelings of being consumed by anxiety and anger as you attempt to chase your losses at the poker table). If your emotions get the better of you whilst you are gambling online, you can make some very bad decisions. Relatedly, ensure that you do not gamble in order to cheer yourself up when you are feeling low or to ‘work off steam’ when you are annoyed at something or someone. This is how all kinds of addictions start: gambling, like alcohol, should not be used to ‘self medicate’ in an attempt to ‘treat’ our distressing emotions. A responsible gambler always comes to the online casino in a cool, calm state of mind, ready to play fair and to win and lose with equal grace. All too many people gamble because of peer pressure. This is not a responsible way to gamble. Instead, whenever you engage in online gambling, make sure that you are doing so because you want to do it. Practice saying ‘no’ when friends or the gambling community (whether online or offline) tries to get you to play poker or roulette with them when you don’t feel like it. True friends will respect this decision. Stress, sleeplessness, and alternating feelings of anxiety and exhilaration associated with gambling are all signs of addiction. If you are hiding the extent of your gambling from those closest to you, that is a huge warning sign. Feeling unable to stop gambling should also set alarm bells ringing. If you are experiencing any of these symptoms, get help now by contacting a gambling or addiction helpline. The four points above demonstrate that problem gambling is mostly about losing control of some way: whether or your emotions, your finances, your time planning or your autonomy within a peer group of gamblers. Try keeping the four questions above to hand and reading through them before you start playing, every time that you are considering logging on to an online casino.